Click here to view his profile on Fine Art America. 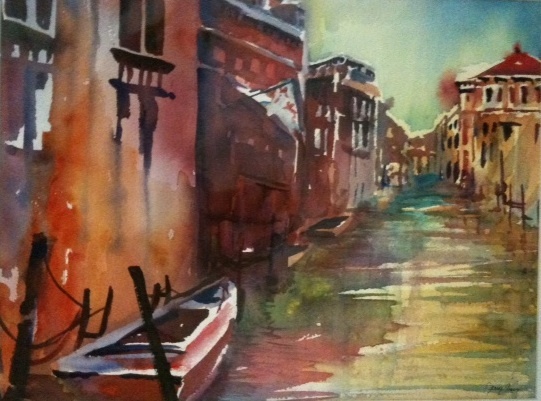 This class will emphasize painting rocks, trees, water and buildings that can be used to create a landscape. Emphasis will be in mixing colors directly on the paper, learning to use controlled washes and creating textures that simulate actual objects used to paint a landscape. This workshop will have students using photos of their own to learn the basics of watercolor and how to push it to more than just copying the photo.